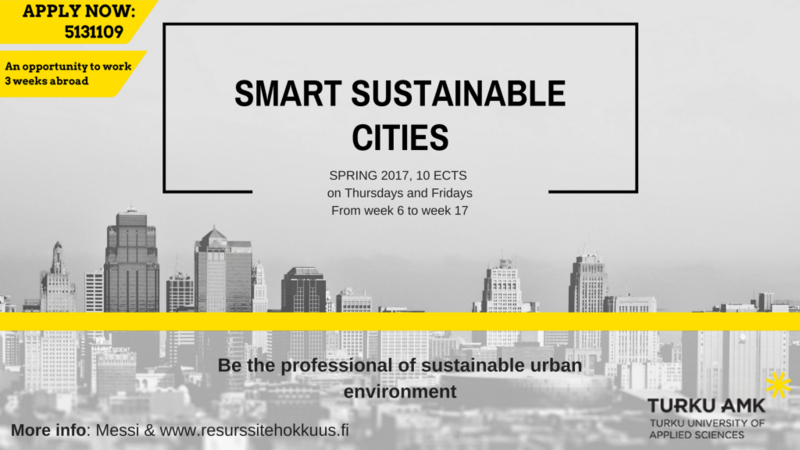 The main topic in the course is Smart Sustainable Cities and its three main dimensions (enivironment, business and social). The course consists of virtual learning, working in multidisciplinary groups and project work. Also 11 students will have the opportunity to work three weeks abroad doing the project assignment together with students from Carpe Essence project.